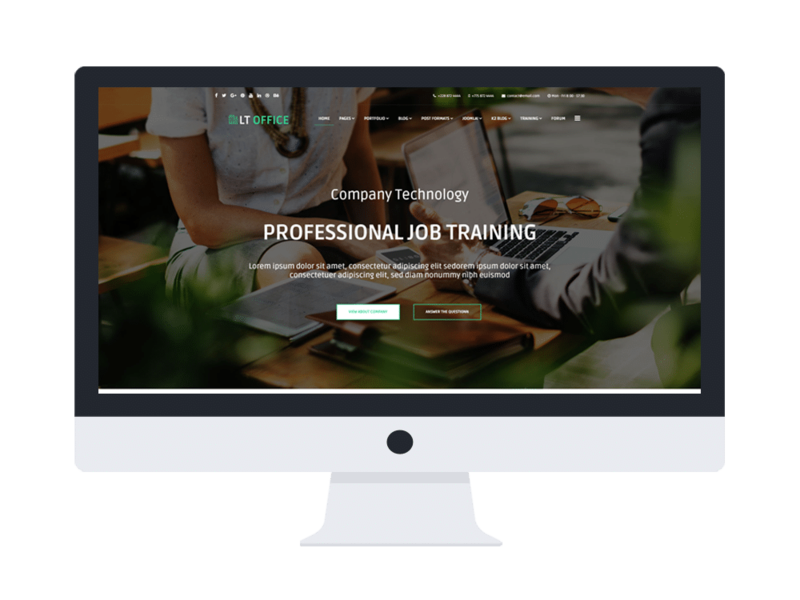 LT Office is a Responsive Joomla Company theme which is built perfectly for all companies to promote their business, spread company reputation, as well as raising membership among staffs. This theme comes with modern and professional design, which will be appropriate for building any company websites, especially for offices. Although LT Office has been developed with the latest website technologies, such as strong framework with Page Builder for layout, powerful shortcode to perform your site content easily, it is not difficult for you to customize the theme, even when you are just a Joomla beginner. This powerful Joomla Company theme offers you a wide range of modules and widgets that serves all of your specific needs for building your company site. Especially, for training and testing staffs purpose, LT Office has integrated with Ari Quiz Lite with various tests, therefore, you can evaluate staffs level and knowledge easier and more convenient than doing on paper works. Besides, all company activities and information exchange can be conduct right on company website by online forum of Kunena. Google web fonts, customizable color schemes, and many more style options are also included in the amazing LT Office, which has only one purpose – to give you the best convenience but still get an outstanding website look! Let’s come and get the theme for getting your site the best appearance ever!